Living in a different country can be such an exciting experience providing a good opportunity for one’s personal growth, but it’s not always easy. One may face great psychological/emotional burden that cannot be alleviated on his/her own. Psychological and emotional mental health support in English by a qualified Clinical Psychologist lisenced to practice in Japan is available at Counseling Office Progress (COP). Counseling and psychotherapy may help you overcome various kinds of problems and issues such as: depression and other mood disorders, anxiety, eating disorders, stress management, multicultural adjustment issues, problems with interpersonal relationships, and coping with grief. 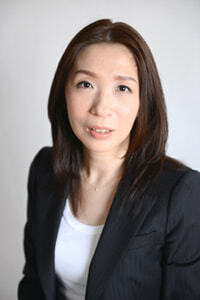 Yuka Mukai is a qualified clinical psychologist. She graduated from the University of British Columbia in Vancouver, Canada (BA, Major in psychology) and earned her Master’s Degree in clinical psychology from Sapporo Gakuin University. She has worked with many adolescents and adults in a wide range of setting including hospitals, schools and universities, community mental health services, and companies and organizations. Her therapeutic approach is based on client centered orientation, but she integrates other approaches such as interpersonal-relationship and cognitive-behavioral approaches to help individuals utilize their strengths and resources in resolving emotional difficulties, uncertainty about life choices, and various life issues related to self and relationship with others. She is bilingual and provides counseling in English and Japanese. COP is located in the heart of Sapporo near Odori Park. The neighborhood is very vibrant and offers various dining and shopping spots to enjoy. The building is directly connected to underground arcade and Odori subway station (Exit 26). Please send an email to info@co-progress.jp for inquries and appointments. You will receive a reply within 48 hours (for some reasons, if you don’t, please call at 050-3573-7760. If you cannot reach me, please leave a message. I will get back to you as soon as I can). Based on the information given, the date and time for counseling session is arranged. The detailed information from COP will be sent to you via email. Once you receive the email, please confirm your appointment by sending back an email to COP at least 1 day prior to the appointment date. If you fail to do so, your appointment may not be guaranteed. All counseling session are by appointments only. The counseling session takes 60 minutes, and its fee is 20,000yen (including tax). Payment can be made only by cash. Please note that the National Health Insurance System cannot be used for counseling session. 24-hour notice is required for cancellation/re-scheduling. Missed appointments or cancellation with less than 24 hours are subject to full payment of the fee. You may cancel or re-schedule your appointment by sending an email to info@co-progress.jp or call at 050-3573-7760. Your cooperation is appreciated. If you have any questions, or for more details, please email to info@co-progress.jp.